The RUST teleport command transfers a player’s character from one location to a specified destination. There are a few different ways in which teleportation works in RUST. Some teleport commands allow admins and moderators to teleport to the nearest person or entity, while others allow for them to teleport to a particular person, place or coordinate on the map. The RUST teleport command can be issued by RUST admins and moderators only. Some of the teleport commands require the administrator or moderator invoking it to be logged in to the game server, while others do not and work inside of an RCON platform. Players that want teleportation will need to rely on administrators, moderators, or RUST plugins to teleport around the game. The RUST teleport command can kill admins, moderators and players if they teleport to other players located inside buildings, caves or monuments. Request that the player or location being teleport too is outside, preferably in a flat area, otherwise they risk being stuck, hurt, killed, or sent to the underworld. Admins should turn god mode on before they teleport to prevent the above risks. 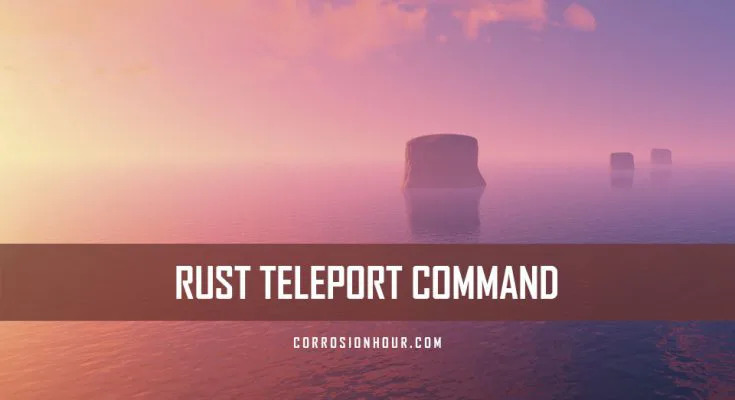 All of the RUST teleport commands supports the teleportation of one player at a time. This command will instantly teleport the administrator or moderator that invokes it, to the player that has the longest active session on the server. 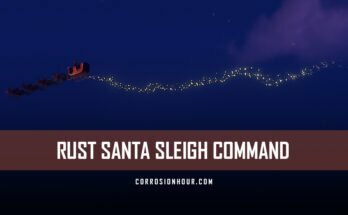 Note that this command does not work from RCON platforms and requires being logged into the game server, with additional players online and no parameter is required to be passed with the command. This command will instantly teleport the administrator or moderator that invokes it, to the player whose name was passed in as a parameter. It’s best to use quotes around the players name, in case they have spaces. The teleport command supports partial names to be passed in, so to ensure the correct player, be specific and use quotations to surround their name. Note that this command does not work from RCON platforms and requires being logged into the game server, with the specified player logged in to the game server. This command will instantly teleport the first player, to the second player passed in as parameters. It’s best to use quotes around the player names, in case they have spaces. The teleport commands support partial names being passed in, so to ensure the correct players, be specific and use quotations to surround their names. Note that this command does work from RCON platforms and requires the specified players to be logged in to the game server. This command will instantly teleport the administrator or moderator that invokes it, to a specified entity, however randomly found in the game world. Enter an item from the “Name” column of this rust entity list. Quotes around the entity name are optional, as the entity names do not contain spaces. Note that this command does not work from RCON platforms and requires being logged into the game server. This command will instantly teleport the invoking player, to the coordinates passed in. This will require passing in an X, Y, Z in this order, with parenthesis wrapped around the values. To get the location of your character, type in “printpos”, then copy that position to use later. Note that this command does work from RCON platforms and requires the player being logged into the game server. This command will instantly teleport the specified player to the administrator or moderator that invokes it. This teleport command functions more as a pull than a push. If it’s an admin or moderator about to teleport to a destination, enable god mode to prevent the issues listed earlier. If it’s a player, make sure their destination is outside in a safe location. 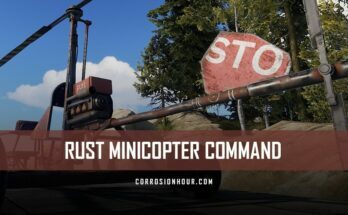 The RUST teleport commands differ, while some can be issued from RCON platforms, all of them can be issued while logged into the game server. Press the F1 key to first open the in-game console and type in the specific teleport command syntax listed above and press enter.